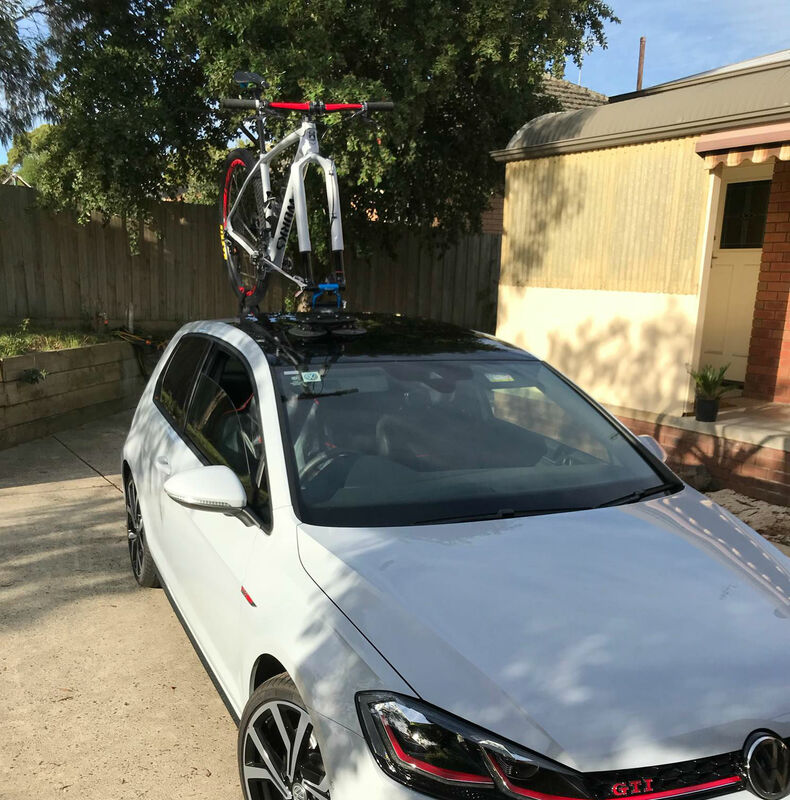 Gary contacted us looking for a VW Golf GTI Bike Rack for his road and mountain bike. Furthermore, Gary’s car has a Panoramic or Full Glass Roof. As he lives nearby our office we invited Gary for an onsite demonstration at our office in Cheltenham. 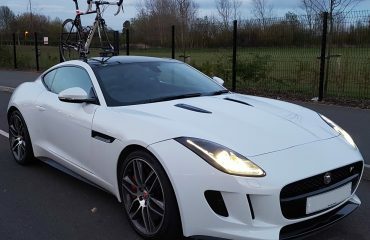 Firstly, we covered the types of bikes Gary is looking to transport. As a result, one bike has a Quick-Release Front Wheel and the other has a 15 mm x 110 mm Through-Axle Front Wheel, otherwise known as a Boost Front Hub. Next, we identified a suitable location for the bike rack. 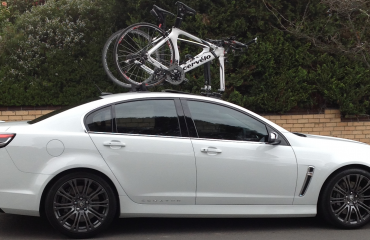 As the photos show, the SeaSucker Talon 1-Bike Rack main board is mounted on the Panoramic Roof. 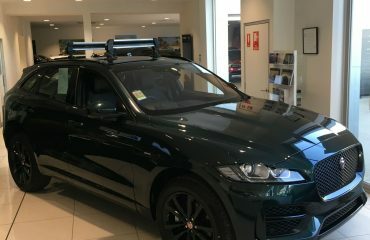 The Rear Wheel Strap is located behind the Panoramic Roof allowing Gary to still use his Panoramic Roof whilst driving. We also suggested using the Fork Up Trilogy 15 mm x 110 mm Fork Adapter when transporting his mountain bike. Upon receiving the photos we also suggested to Gary to locate the bike rack on the passenger’s side. This makes mounting and dismounting the bike safer. As a result, Gary won’t be exposed to traffic when mounting and dismounting his bike. Thanks Gary for sending the photos. 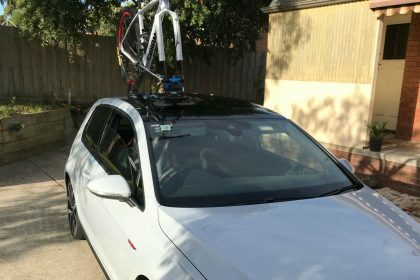 Looking for a bike rack for your VW Golf GTI? Buy the SeaSucker Talon and Fork Up Trilogy 15 mm x 110 mm Fork Adapter through our online store.